Wild East is a new initiative by the ATC uniting many aspects of the Appalachian Trail under one banner. Working with diverse partners, we are making it known that now is the time to make certain sensible, reasonable protections for the A.T., one of the last remaining contiguous open spaces in the eastern United States. 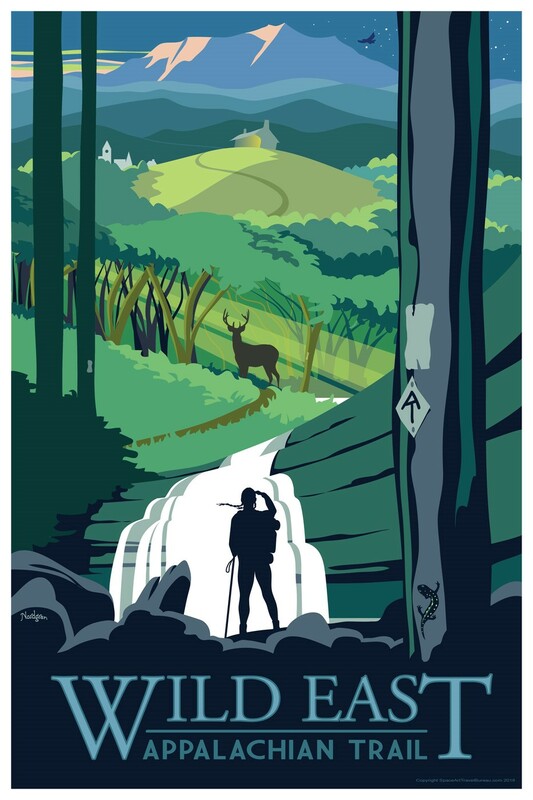 Make a gift of $100 or more right now to help us continue to protect the Wild East and we’ll send you an 18x27-inch copy of the official poster to commemorate the iconic beauty of the Trail. Put more of my donation to work in the Wild East and on the Trail, do not send the Poster. SIGN ME UP TO RECEIVE EMAIL UPADTES on the A.T. and the ATC.